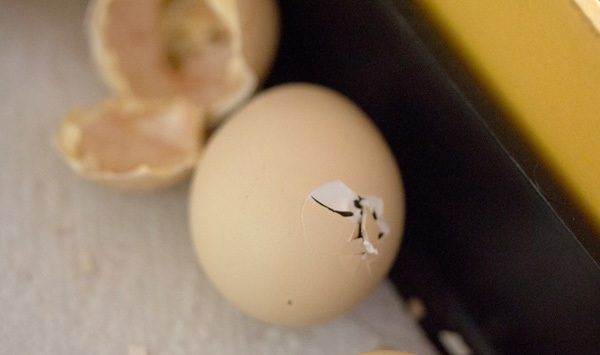 The third chick hatching (with a little help). 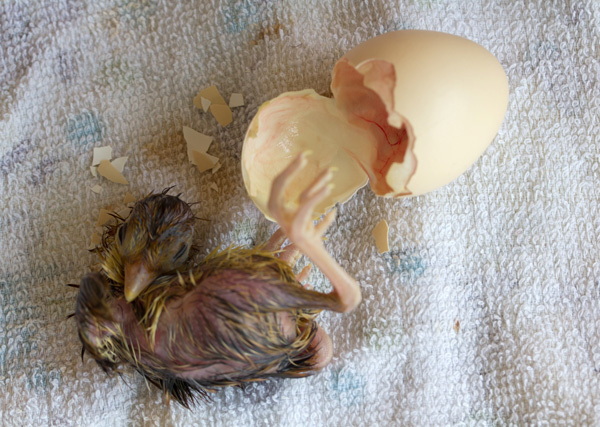 Moments out of the egg and taking a first bewildered look at the world! 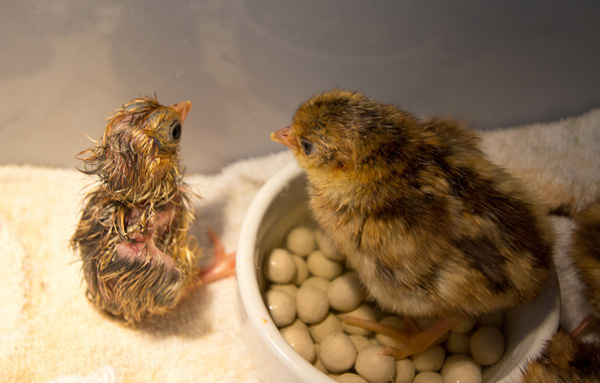 A chick one (left) and eight (right) hours after hatching, what a difference a few hours make, and a demonstration of just how ridiculously fluffy the little chicks are! 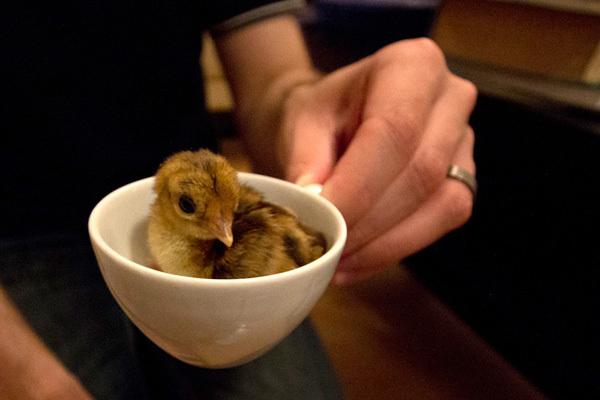 So tiny! 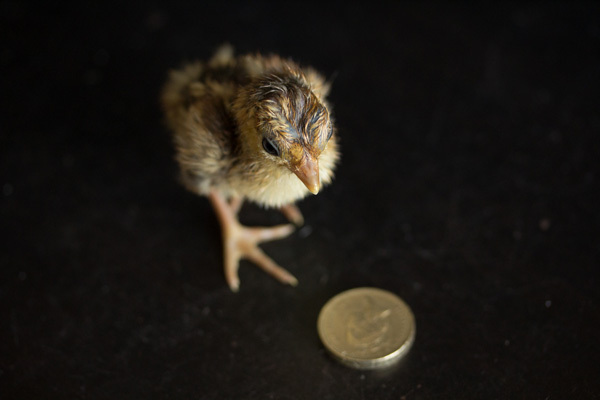 A little tiny chick next to a one pound coin. 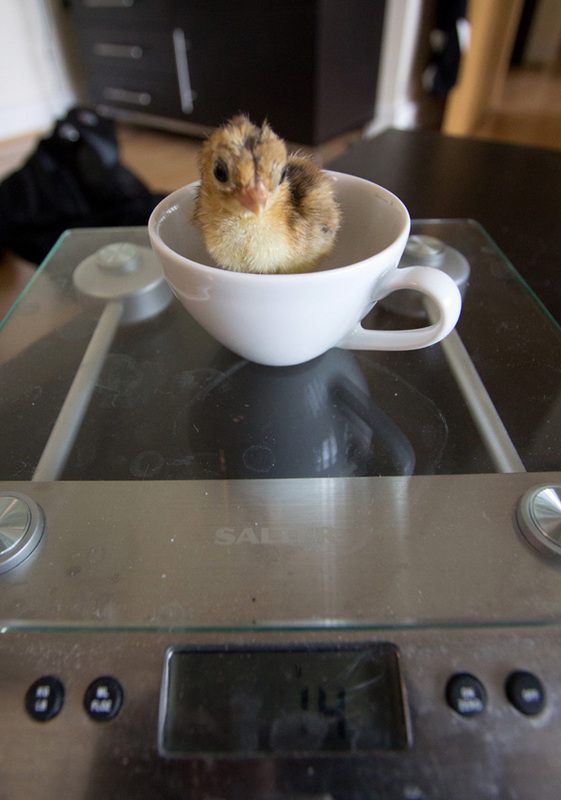 Weighing the little ones in an espresso cup (they really are that tiny!). The little ones all weigh about 14g, that’s about the weight of 2.5 quarters! 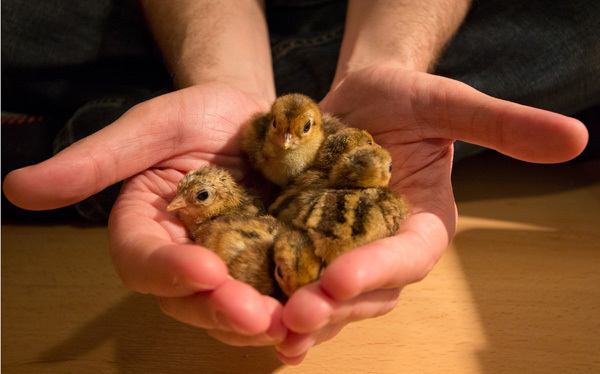 Handful of tiny little golden pheasants! 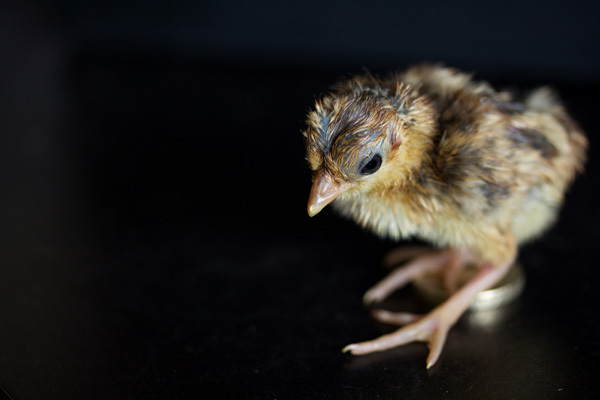 The tiny chicks will grow quickly over the next few months, and any boys among them (we haven’t sexed them yet! 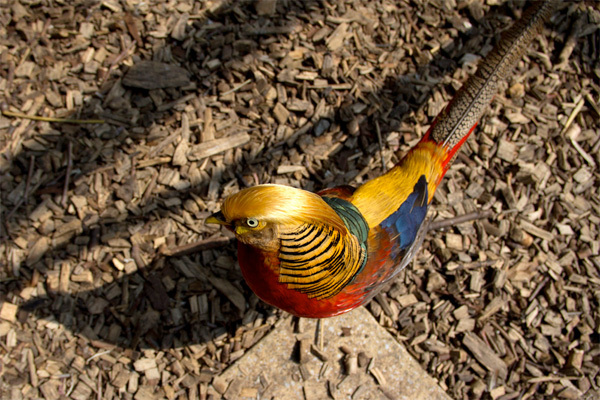 ), will soon grow the beautiful brightly colored plumage so characteristic of their species, just like their dad!